Gold Lasso is a perfectly priced email marketing/marketing automation suite for mid to large sending volumes. "Great online tool for my marketing automation"
Its extensive features and ease of operation allows me to reach my customers and engage in a professional manner. The support suggests that I can talk to an advisor and get answers to question at the ease of a click. The price point was also a strong selling feature that made everyone in the company happy. After trial and error of multiple companies that pretended to provide similar services proved to be a waste of valuable time to both myself and other members of my team. I am very very satisfied with this product and wish it was avaialbe 10 years ago and my company would be stronger and more profitable. I love this product and enjoy using it and watching my company profit from it everyday. Nothing. This is a wonderful product and I am looking forward to sharing this product information with my friends and associations that I am involved with. I will also tell people the names of the other companies that were over priced and under performing. When running a small bussiness yout time is the most valuable assett and these imposters truly tested my patience and wasted my time. it was all a learning curve that we all experience when owning and running a small company. I would reccomend this product to anyone looking to do online marketing automation. An easy way to reach all of my customers in one easy to use tool. "Feature-rich Product that Yields Results"
Sheer breadth of features. There's something for everyone here from the part-time marketer to the seasoned expert. Once we got used to all the features, eloop became the control panel to our email marketing operations. Nothing to dislike -- this is a very compelling product. I suppose one might say there's somewhat of a learning curve to understanding all the features it offers and how they work together. This platform allows us to "tune" our messaging like none other. We have a very distinct audience to which we can run multiple tests to determine which message resonates. You have to pick your message carefully, and not waste contact points on ineffective messaging -- if each customer/prospect contacts costs $ and time, eloop saves us $ and delivers results. "We're very impressed by Gold Lasso's service"
I like the fact that I can do everything with this program, that whenever I need something, I realize it's already there. Most importantly, I know that I have Gold Lasso's support team, to help with everything. I think eloop4 didn't have the option to send surveys, but this was added to eloop5, along with other great features. We were looking to automate our marketing efforts and Gold Lasso allows us to do that, with the ability to measure ourselves. I'm using eloop5 to email our customers and I find the reports very helpful. Knowing what happens with the emails we send, if people open, click, or even opt-out, help us learn and modify our efforts. In working with the team at Gold Lasso, they were always a very collaborative partner in helping drive initiatives, working towards resolution of issues and just a pleasure to work with. 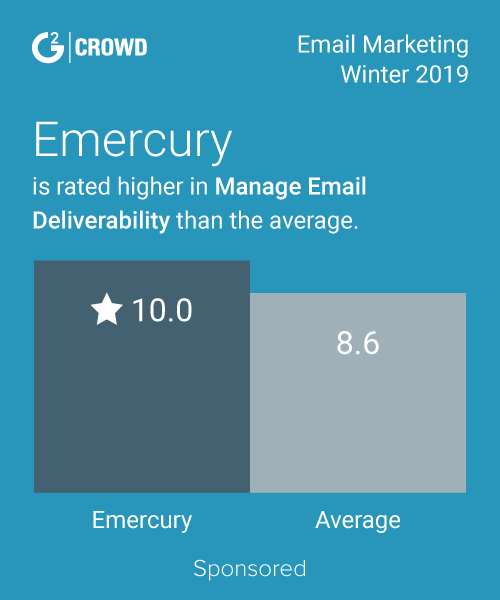 They brought a ton of expertise to the table regarding email deliverability, design best practices, and effective segmentation - that not only made my email campaigns more effective, but also helped me educate internal stakeholders. When we first implemented our program, the user experience and feature set on eloop was a but dated - though it still served our basic program well, However, when we later upgraded to the new release of eloop, it was a leap forward, providing all the features and functionality that we were looking for. When working with Gold Lasso, I was focused on building email as an acquisition marketing tool in a company where email had been previously under-leveraged. The team helped me get the program up and running, and turn email into a highly efficient marketing channel, quickly eclipsing other more expensive channels that had been previously hogging marketing budgets. "Great product, great support, great feature set"
Robust functionality, borderline enterprise marketing automation platform w/o the enterprise class price tag. Customer service and tech support is also very responsive helpful and friendly. The UI takes a little getting used to. The app is so feature packed that sometimes, you have to hunt around for what you are looking to do. They could take a page out of the Apple book of design and eLoop would be damn near perfect. Give these guys a shot, eLoop is legit. Feature rich and the staff is down to earth. Unless you are the marketing director of a Global 100 company, you most likely will reap the benefits of eLoop versus buying one of the big 5 MA platforms or ESP's that litter the landscape with marketingese and high price points. The reports give us real insight into the effectiveness of our campaigns. Advanced features are great, but can take new users a while to understand. If you're emailing contacts at large corporations as we do, being able to get your message through their spam/firewall filters makes all the difference in the world...that where we've found the greatest value from Gold Lasso where other providers have failed. We're using Gold Lasso for new business development and to keep in touch with current clients. Our existing clients receive our communications through their corporate firewalls - where other email providers have failed. Gold Lasso provides an excellent and very dependable suite of online marketing solutions. When I log in, their control panel is quite intuitive and easy to use. I like their analysis tools and engagement metrics. 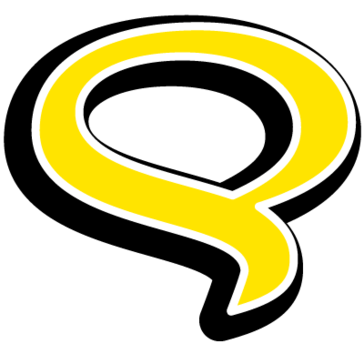 When I've had any questions about how to use their product, they are there to support and provide answers. Over time, I have noticed how they continue to improve their technology and service. I don't have any dislikes for this product. It has been a very beneficial tool. If you want to grow or better manage your online marketing, then you should definitely take a look at what Gold Lasso has to offer. There are many ways to use the solutions they provide. You must experience it, to appreciate it. "I was a customer, and also an early beta tester. Used for email marketing for B2B lead gen."
Very easy to use, intuitive database management, and great support. I loved how intuitive the campaign setup and list management. Tech and customer service was always great with brainstorming my ideas and helping me see how to engage subscribers. I'm not a graphic designer, so wish the wisywyg editor was dumbed down just a little. But that's also an issue with my own skill level and using this forced me to learn more HTML just for troubleshooting my own mistakes. Lead generation, newsletters, product announcements. Great at follow up on responses, opens and clicks because it was integrated with our salesforce.com records. "A lot of features and very responsive customer service"
Gold Lasso has a lot of features, and their customer service is very responsive. They made a customization specifically for us, and they made it within 48 hours, when it turned out that what we needed was very difficult to achieve otherwise. The UI could use an upgrade, and there is very little help available online in the form of tutorials or articles. However they do have a chat. We are using Gold Lasso for our transactional email, as well as our other marketing campaigns. They always offer competitive pricing, never skimp on quality and offer a great value for their services. They also offer the best customer service and always stand by their work. I don't have anything negative to say. They have assisted us with best practices on email messaging. They also have provided development services using both CMS and application development. Regarding email messaging, our open rates have increased. The application development has assisted us in automating manual processes and making our work flow more efficient. "Great CRM system, perfect for all needs"
The versatility of this program. It is a simple to use easy system that can meet many needs. We use it for surveys, customer relations, project follow up... whatever we need, it offers. Make sure you use all of the potential capacities. They will continually surprise you. I like the personal attention to our varying needs. I dislike that this is a required field. Our full service agency is responsible for email marketing of our clients and that requires a no excuses and no compromise level of service from our providers. We our previous email company we were just a number and revenue stream. Issues took days to solve from an offshore "Help" center. At Gold Lasso I often feel as though we are family. GL is a feature-rich product that you would happily pay a premium for. I was pleasantly surprised to see the suite priced for value--you get a huge bang for your buck. The folks at GL are deliverability experts and the service is excellent. I have no issues with the product--I'm very satisfied. We use the product for email marketing and lead generation, and it performs well. "We've worked with them for roughly 7 years and have really enjoyed it." They are extremely responsive and have clever suggestions to improve open rates. nothing. We are completely happy using Gold Lasso. We are always struggling for awareness in a crowded space and they've found a way to boost our sales with each email campaign they create for us. "Easy to use product & great service"
I have no real dis-likes, I have only positive experience working with Gold Lasso. Great reach due to better deliveribility. Saves time. Customer service! Gold Lasso is very attentive to its clients needs. That's very hard to find in business these days. The Gold Lasso team took their time to explain the benefits of a targeted email marketing campaign for myself and my clients. Nothing. I'm very happy with their services. Speak with Danielle. Her customers are her number one priority. I'm looking for increased exposure for my clients. Gold Lasso's email marketing services are exactly what we needed. * We monitor all Gold Lasso reviews to prevent fraudulent reviews and keep review quality high. We do not post reviews by company employees or direct competitors. Validated reviews require the user to submit a screenshot of the product containing their user ID, in order to verify a user is an actual user of the product. Hi there! Are you looking to implement a solution like Gold Lasso?